On the Clown Power Tour, MAC SABBATH will be joined by equally mesmerizing one-man, painted Elvis Presley project, Clownvis Presley, originally discovered on Season 5 of America’s Got Talent. The Clown Power Tour will run for about a month, ending in Tucson, AZ at September 17th. 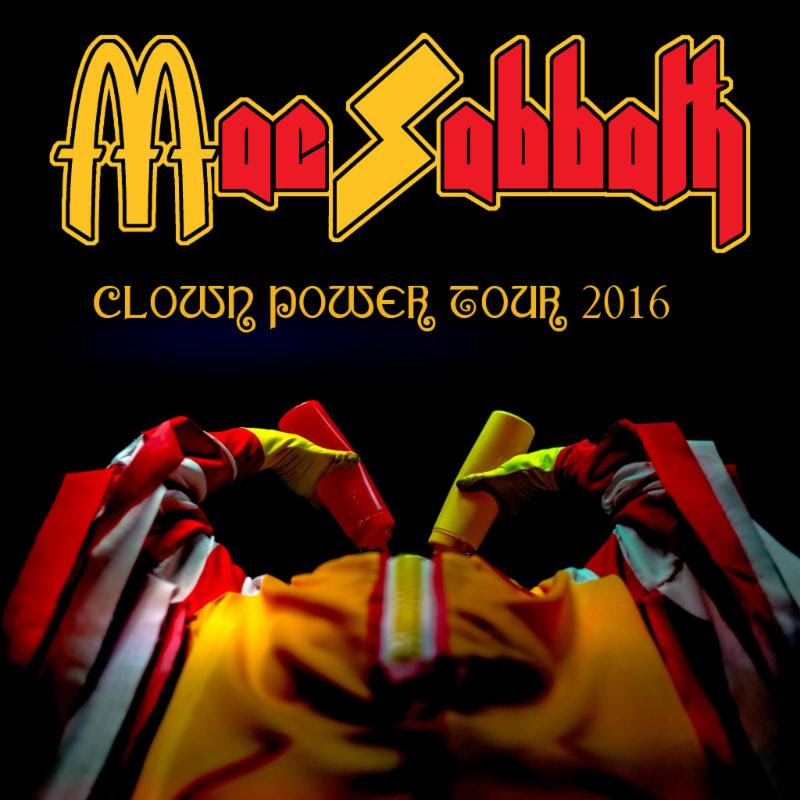 See below for a full listing of MAC SABBATH tour dates. 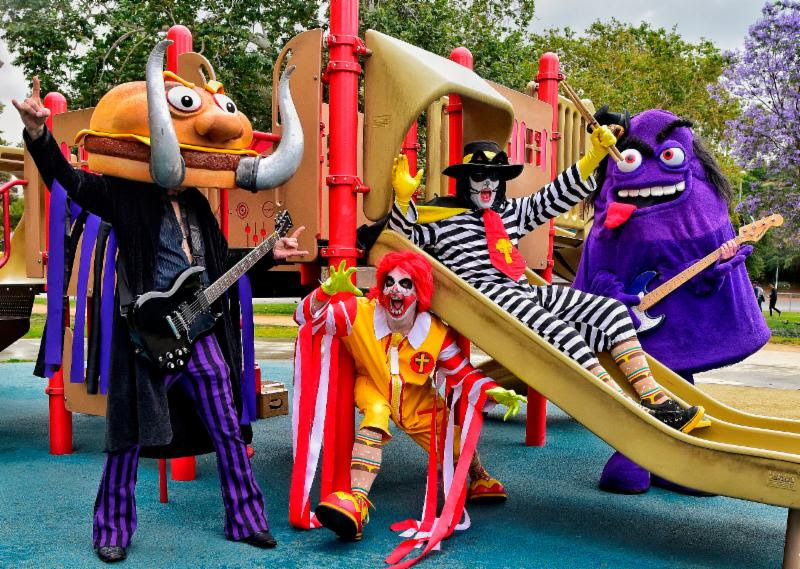 Mixing raucous comedy with borderline-horrific theatrics, the only thing more petrifying than impending health problems resulting from years of overeating is a MAC SABBATH show. Show attendees should be prepared to partake in the fun – MAC SABBATH puts on a theatrical, multimedia stage show – complete with a smoking grill, laser-eyed clowns, bouncing burgers and many more magical surprises… basically anything and everything an unwary show-goer could ever want in their wildest dreams.